Known for a uniquely fluid and melodic yet mumbling vocal style, rapper Future busted out of the South at the dawn of the 2010s with a flurry of mixtapes, high-charting albums, certified platinum singles, and contributions to several other hits as a featured artist. After he scored his first commercial hit via a guest spot on YC's "Racks" (2011), Future quickly became a key factor in Atlanta's grip on the Billboard charts, often with production support from fellow ATL natives and dwellers such as Metro Boomin, Mike WiLL Made-It, Sonny Digital, and Southside. By the end of 2017, Future amassed 32 Top Ten R&B/hip-hop hits as a headliner and featured artist. Meanwhile, 11 full-length projects, including an all-platinum run of DS2 (2015), Evol (2016), and Future (2017), debuted within the Top Five of the Billboard 200. 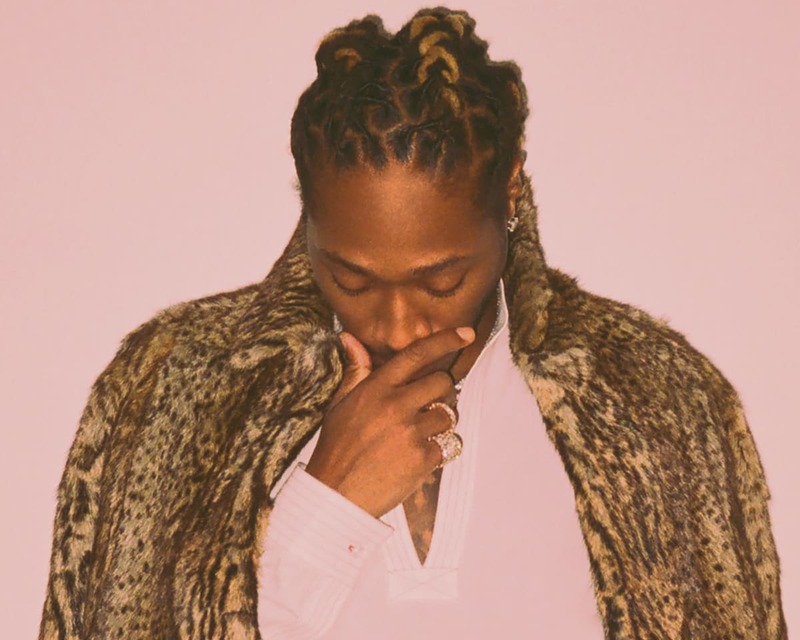 In 2018, Future added to his Top 20 tally with "King's Dead," his contribution to the soundtrack for the blockbuster film Black Panther, and became such a force in the entertainment industry that he co-produced Superfly — a remake of the blaxploitation classic Super Fly — and curated its soundtrack. Born Nayvadius Wilburn, Future grew up in his city's Zone 6 section with roots in the ATL's Dungeon Family, who dubbed him "the Future." Mentored by cousin and fellow Dungeon Family member Rico Wade of the revered Organized Noize, Future released his first mixtapes in 2010 and early 2011, which left him poised for a mainstream breakthrough. A few months after the January 2011 release of his third mixtape, Future was featured on YC's "Racks," a single that bubbled up to the Top Ten of Billboard's Hot R&B/Hip-Hop chart. Shortly thereafter, the rapper signed with major-label Epic, and "Tony Montana," his proper debut single, subsequently peaked just outside the Top 20. Its parent album, Pluto, landed the following April and debuted at number two on the Billboard 200, supported by the number two R&B/hip-hop hit "Turn on the Lights," which earned Future his first RIAA platinum certification. No new studio albums were released in 2013, but Future's year was productive as a guest artist. He appeared on four Top Ten R&B/hip-hop hits that went either gold or platinum: Lil Wayne's "Love Me," Ace Hood's "Bugatti," Rich Gang's "Tapout," and Rocko's "U.O.E.N.O." He appeared on a remix of "Body Party" by Ciara, who became his fiancée that October. In early 2016, Future dropped Evol, which arrived unannounced but still debuted at number one on the Billboard 200. Its "Low Life," a collaboration with the Weeknd, quickly went double platinum. In November of that year, Future issued another Drake-assisted hit, "Used to This," from his Beast Mode 16 mixtape. The roll continued through 2017 with a pair of full-lengths, Future and HNDRXX. Issued during consecutive weeks that February, the two albums kept Future's streak of number ones intact, while the former became the rapper's third consecutive platinum solo full-length. Later that year, he hopped onto Ty Dolla $ign's "Don't Judge Me" with Swae Lee before issuing Super Slimey, a joint effort with Young Thug.